Now read this: “…the window of vulnerability of an infant may be even greater in vaccinated women than in with women with natural measles infection.” (Am. J. Trop. Med. Hyg., 79(5), 2008, pp. 787–792). Translation: Measles occurring in infants—which is unusual and dangerous—is more likely to occur when the mother has been vaccinated against measles. Why? Because she no longer passes down, to her child, the natural components of immunity to measles. This stunning finding can apply across the board, for all vaccines and all childhood illnesses. Vaccinated mothers, who would ordinarily pass down natural immune factors to their babies, often don’t. The vaccinators are creating a synthetic world of pretended immunity. And they want the global population to live inside that bubble—and suffer the consequences. Medical experts have spewed a great deal of nonsense promoting how serious childhood diseases are. This is an attempt to refute centuries of evidence showing children recover nicely from these illnesses and thus acquire lifetime immunity. The “seriousness” of the diseases, when they are serious, results from two factors: vaccinated mothers, and a general weakness of children’s immune systems. And that weakness results from sub-standard nutrition and a lack of nutritious breast-feeding. Of course, breast feeding isn’t going to be naturally nutritious if the mother has been previously loaded with vaccines. It’s a vicious circle. And remember this: no amount of vaccines is going to solve tremendously sub-standard childhood nutrition. Claiming that undernourished children must be vaccinated up to their eyeballs—as “substitute protection” against disease—is an egregious and despicable lie. The vaccine establishment is fully aware of what I’m discussing here, and it has covered it up. There is no substitute for natural immunity derived from good nutrition. And therein lies one of the greatest secrets about all vaccines. They appear to wipe out diseases, because, after vaccination, the signs and symptoms ordinarily associated with those diseases often don’t occur. Instead, the old symptoms are altered or don’t appear at all. 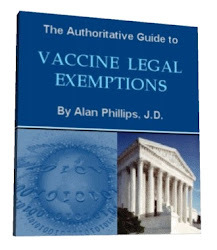 Therefore, medical experts can claim that mumps or measles or pertussis or diphtheria have been eliminated from the population—when in fact what is happening is the emergence of vaccine-induced disease with different symptoms. And those symptoms are given different disease-names. Polio? Gone. Now we have meningitis. Smallpox? Gone. Now we have “lesions of unknown origin” or Kaposi’s Sarcoma. They just transfer the pictures of symptoms. And they cut off the population from natural and powerful immunity, the very same immunity that, along with improved nutrition, better basic sanitation, and a higher standard of living, made many serious diseases into light illnesses. This shell game is played with human lives sacrificed on the altar of profits, and the creation of more debilitation and death. This article (Vaccines: “Preventing Every Bad Thing”) was originally created and published by Jon Rappaport’s Blog and is re-posted here with permission. Now That You’ve Awakened How Do You Awaken Others?